If Katie Bonner's late husband hadn't invested all their savings in the craft fair Artisans Alley - which Katie is now responsible for keeping in the black - the Webster mansion could have been hers to remodel. For years she dreamed of renovating the old place on Victoria Square into a bed and breakfast. Now that dream belongs to another young couple. 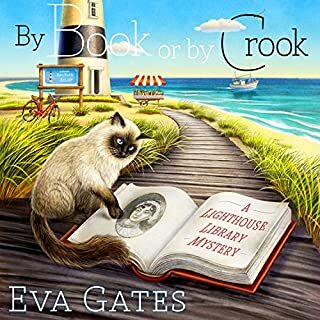 This is the second book in this series. I wish I hadn't bought it. The first book wasn't very good, but I thought it was good enough that the series would improve and be more interesting as it went on. This book is worse, by far. The main character, Katie, is a truly annoying person. She allows herself to be taken advantage of by a "friend" who uses blatant emotional blackmail to get free labor and free cash from her as a matron of honor for a short notice wedding, but for some stupid reason she won't tell this user/abuser to just get lost. She allows a friend and useful booth holder at her craft mall to be psychologically abused and physically threatened by one of the other booth holders for absolutely no reason that I can fathom (she should be sued for allowing this to go on, in my opinion). 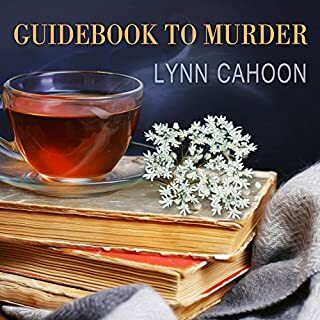 She withholds information from the police about a murder because she doesn't like the detective on the case personally. She's decided to move out of her apartment (no reason ever given) and even though she only has a week left before she's out on the street and she's been "living out of boxes and eating off of paper plates for weeks" she hasn't managed to find a place to live…it just goes on and on. I've read some of the other reviews of this book, and noted that a number of people seem to think her boyfriend is the one with the issue. I don't see this at all. He's feeding her for free, he's offered to let her live with him for free, he's hard working, handsome, solvent, and deeply committed to the quality of his business. He's a dream boat, I think, but instead of appreciating him, Katie is just trying to manipulated and harass him into renting her the apartment over his shop, even though he doesn't want to. To sum up, Katie is an annoying mess, and not someone I would ever want to spend time with. I have reached my limit with the book and series, and won't be finishing either one. 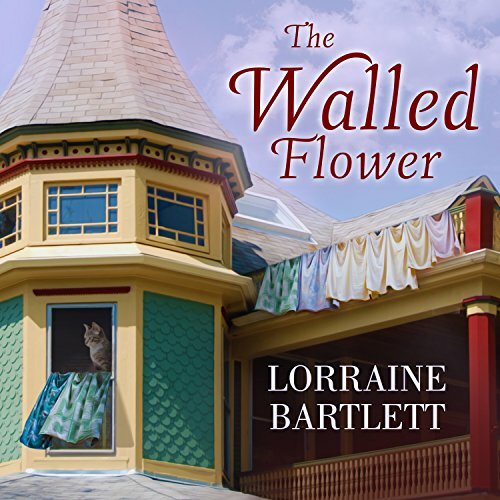 Would you listen to The Walled Flower again? Why? 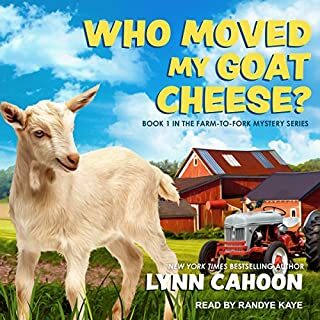 I would because I love Lorraine Bartlett's books. I'm not, however, too taken with Jorjeana Marie's narration. Even though she was clear, I don't like the way some people talk like they have a frog in their throat and need to clear it, or that they just got out of bed - she made some characters sound like that. And it was a little slow for me - I could read it much faster. Yes, Lorraine knows just how to keep a person on the edge of their seat by putting characters in scary situations. Katie - no frog throat for the most part. A down home, cozy thriller! 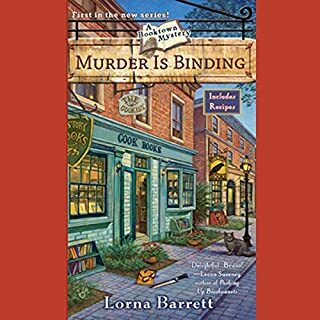 I love Lorraine Bartlett's writing, and I highly recommend reading or listening to her books! This is the second visit to Artisans Alley and Victoria Square and Katie Bonner has her hands full. A welcome to the neighborhood visit turns up more than new neighbors at the Victorian mansion Katie has been pining over. 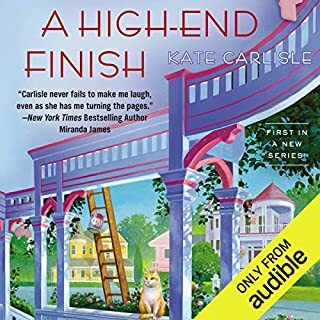 Soon Katie is juggling trying to help her friend Rose find closure over the murder of her niece, get an elderly bridezilla married and settle disputes between two vendors at Artisans Alley, all while trying to prevent becoming homeless! Enjoyably narrated by Jorjeana Marie. I love I this series and this book. This was very entertaining book. I enjoyed the characters and plot. I look forward to the next book in the series. I had a really hard time with this one. I fast forwarded - a lot! - to get to the end. And if I had not been on a very long road trip with this being my only recorded book, I would have quit about 1/3 of the way in. The people is in this book are universally unlikable. Katie's husband spent all their money on a craft fair and then died and left her with the business which was not making money - the husband who supposedly had the same dreams of a B&B she had. No explanation as to why he spent the money without her knowledge. The current boyfriend is self centered and uncaring, to the point I wanted to shake Katie for putting up with it. The people who are supposedly her friends treat her badly and she lets them. And all the time she is whining about needing to find somewhere to live in a few days. In the end, she is planning on manipulating her boyfriend to let her end up with the apartment he owned and had not wanted to rent her. An interesting mystery that pretty much made my skin crawl with thoughts of how the victim died. Otherwise, festive interactions of regular characters. If you could sum up The Walled Flower in three words, what would they be? What was one of the most memorable moments of The Walled Flower? When Katie finds out a couple has bought the Webster Mansion. that was her dream. Katie trying to help her friend Rose find closure in the murder of her niece. 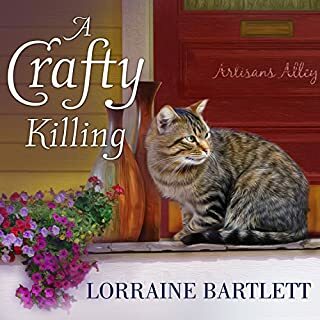 Lorraine Bartlett is an excellent writer and listening to her books brings them more to life.